LG Corp. doesn't do things small. The company is the world's largest maker of LED monitors and the second-biggest manufacturer of liquid-crystal display (LCD) televisions. It also is the second largest manufacturer of mobile phones and front-loading washing machines sold in the U.S. Now, the 64-year-old South Korean conglomerate is taking aim at the top spot of the fragmented electric-vehicle battery market, where the competition includes fellow South Korean conglomerate Samsung, Japan's Panasonic and relative start-ups like A123 Systems and the automakers themselves. The company’s LG Chem division last week opened what it said is the world's largest electric-vehicle battery-making plant in Ochang, South Korea. The factory will produce enough lithium-ion batteries for 100,000 electric-drive vehicles, according to Bloomberg News. LG Chem, which makes batteries for a number of electric-drive vehicles including General Motors’ Chevrolet Volt plug-in hybrid-electric (PHEV), is looking to boost annual revenue from EV batteries to 4 trillion won ($3.67 billion) by 2015, when the company expects to have 25 percent of the worldwide EV-battery market. With another South Korean plant and a U.S. factory scheduled to open by the end of next year, LG Chem will be able to produce enough batteries for 350,000 vehicles by 2013, according to Bloomberg. "They’re definitely the mover and the shaker right now in the lithium-ion battery market," said John Gartner, senior analyst at Pike Research. "They have strong relationships with GM, Ford and Hyundai, and their technology is viewed as being very stable, safe, and reliable, so it’s not out of the questions that they could reach that goal." LG's strategy may be a sound one, given electric-drive vehicle projections. Last year, Pike estimated that global sales of PHEVs and battery-electric vehicles (BEVs) will surge to more than 1 million units in 2015 from less than 250,000 this year. That said, consolidation isn't guaranteed in an EV-battery market where technology continues to rapidly evolve. For instance, last month, the U.S. Energy Department and an automaker group that includes GM, Ford and Chrysler awarded lithium-ion battery-maker A123 Systems a contract worth $8 million to further develop so-called nanophosphate systems that will produce lighter, cheaper and more powerful batteries for plug-in hybrid-electric vehicles. "It’s a little premature for anyone to be beating their chest unless they have a real corner on the technology," said Philip Gott, managing director at IHS Automotive. "Even GM's hedging its bets." Additionally, the global lithium-ion battery market will always be bifurcated because automakers such as Toyota and Nissan are almost guaranteed to stay with fellow Japanese companies like Panasonic and GS Yuasa when it comes to battery supply, said both Gartner and Gott. Finally, some automakers are looking to make electric-drive powertrain components themselves in order to gain better cost and operations controls as production of alternative-fueled vehicles expands. Daimler AG and Evonik in 2008 formed a battery-making joint venture that starting next year will supply lithium-ion batteries for Daimler’s Smart Fortwo ED BEV. Still, LG appears to have the resources and agreements with automakers to take the lead. 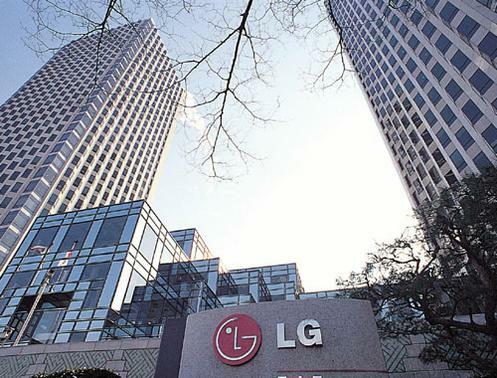 For the nine months ended Sept. 30, 2010, LG Chem’s net income rose 34 percent from a year earlier to 1.76 trillion won ($1.62 billion) as revenue increased 26 percent to 14.5 trillion won ($13.3 billion). The company was tapped by GM early in 2009 to make battries for the Volt and later that year said it would invest $300 million in a Michigan lithium-ion battery plant that would be opened by 2012. LG Chem also agreed to start a battery-making joint venture with South Korean automaker Hyundai in 2009. And Ford chose LG Chem unit Compact Power to make battery packs for the 2011 Ford Focus Electric. Regardless of who takes what market share, LG Chem’s investments are likely to help push down the costs of EV batteries and shorten the amount of time it will take for electric-drive vehicles to become cost-competitive with their internal combustion engine counterparts. IHS’s Gott estimated that battery costs could drop by as much as 50 percent by the end of the decade while internal combustion engine costs rise as automakers stretch for better fuel efficiency to meet progressively more stringent federal greenhouse-gas emissions requirements. Pike’s Gartner was even more optimistic, estimating that lithium-ion battery costs will fall by as much as 10 percent a year. “LG will contribute to that, as will other companies that are starting to build to scale,” said Gartner.